November's Art Bead Scene Challenge is based a beautiful metalwork owl in the John Adams Building of the Library of Congress in Washington D.C. 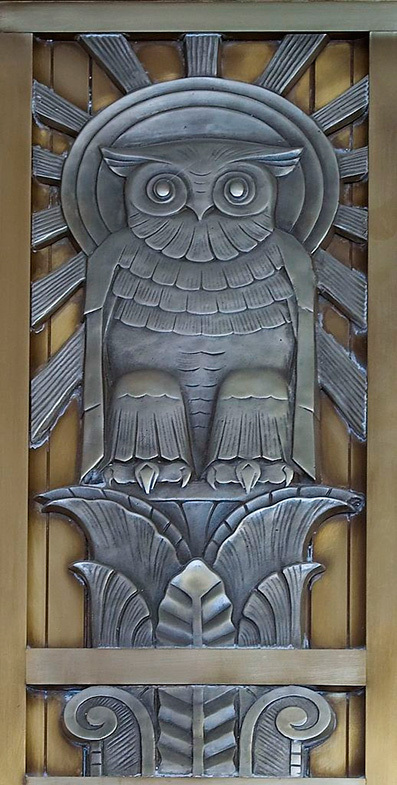 This owl adorns the door to the fifth floor’s center reading room. 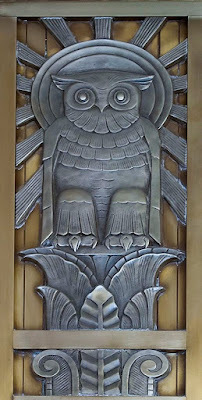 It is called “the owl of wisdom” and is a prime example of the 1930s Art Deco style. In addition, a sculpted stone owl of Lawrie’s is also inside the building. The John Adams Building is renowned for its exquisite doors, which are another artwork of the famed sculptor Lee Lawrie. My daughter and I both love owls so I took this challenge as an opportunity to make an owl necklace. I sold all of my owl necklaces from past years and I needed to replenish my online shop with at least one. This challenge motivated me to do that. I have a number of ceramic owls that my artist cousin Sandy Sapienza made early in her career when she was into making ceramics. Her art interests have drifted toward fiber arts so she gifted the owls to me to make them into jewelry. I have been working with metal recently and made this oak copper leaf. I credit Heather Powers for teaching me how to do this at one of her workshops. I layered Sandy's handmade ceramic owl on my copper leaf by running a copper chain through the upper part of the owl to attach it to a branch connector. The leaf is wire wrapped to the branch underneath the owl. Figuring out how to combine those 3 elements was the most difficult part of this design. It is a long necklace that is 24 inches around the neck with bead and copper links on a chain. 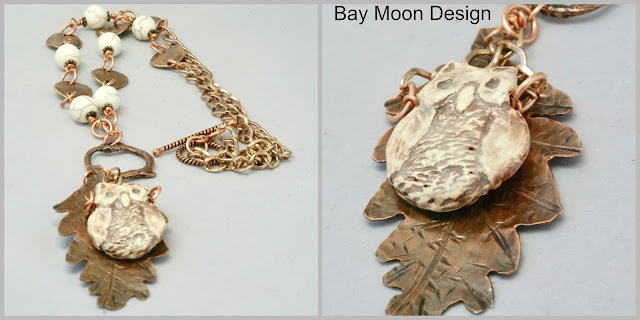 The unique oak leaf and artisan owl pendant add an additional 4 inches below. It is available for purchase in my online store. 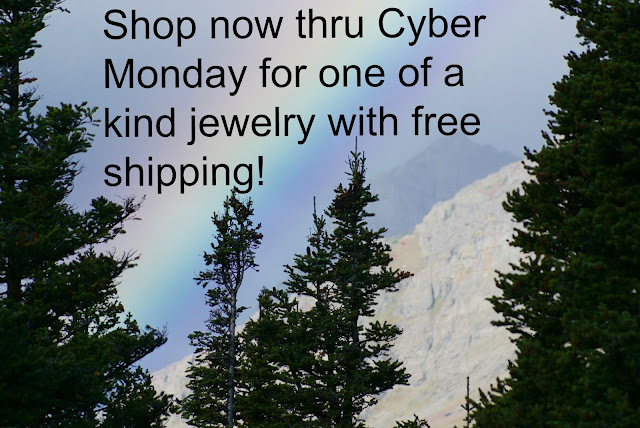 By the way, I am offering free US shipping and gift wrapping from now through Cyber Monday with coupon code FREEUS. 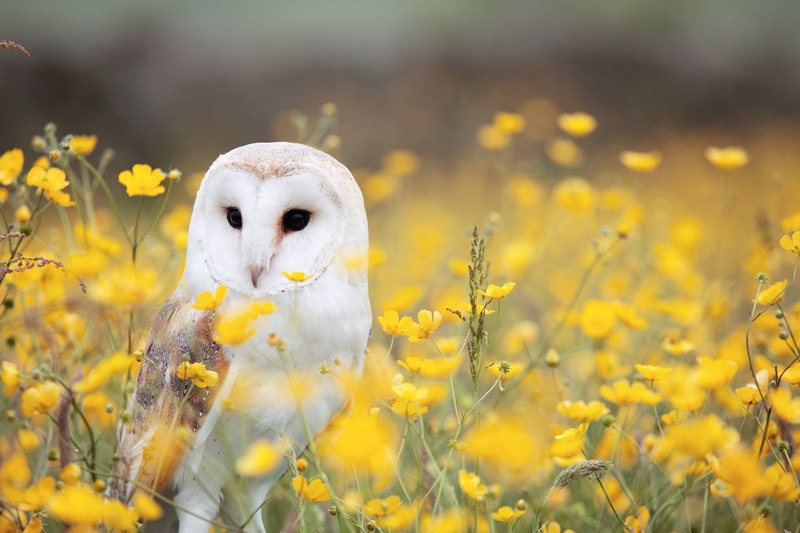 When I look at the owl in my necklace, I see the owl as a symbol of wisdom. 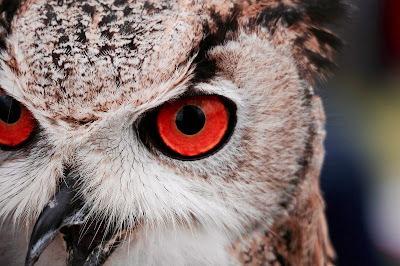 What do you see in the owl? The best selection of my one of a kind jewelry is this weekend and I am offering free US shipping and free gift wrapping on orders of $20 or more. This is also great time to pick up a handmade card to have on hand. This offer is for my readers. Use code FREEUS when shopping at BayMoonDesign. 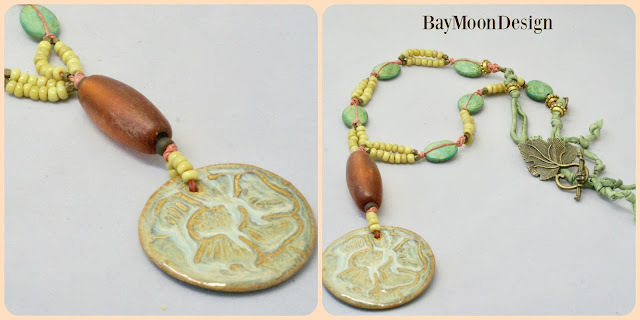 Shop online at BayMoonDesign and visit my friends on Etsy for beautiful handmade or vintage gifts! 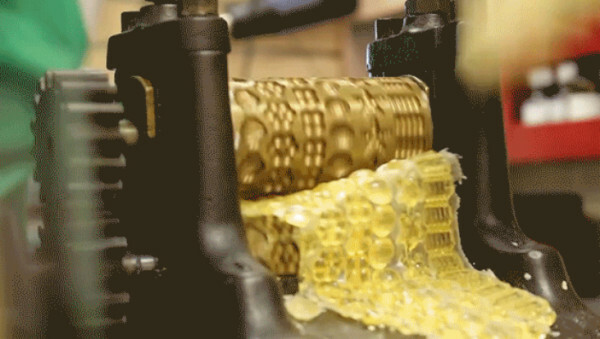 A set of hand-crank candy machines from the 1800s are being put to good use today by a candy-making company out of Tallahassee, Florida called Public Displays of Confection. They have rescued these rusty relics, refurbished them and even resurrected some of the vintage confection recipes. This is one of several videos on their YouTube channel that shows how they use the old equipment to make these candies. This video shows the making of a Victorian Nector Drop and answers the question, why are Lemon Drops called Drops? This video serves as our inspiration for We're All Ears November Challenge. Don't you just love the color of this candy, the golden honey yellow is so soothing. The process of taking the molten liquid sugar and molding it into long ropes to feed into the machine is fascinating. I love the fact that this is essentially a vintage rolling mill, with all the gears and cranks and brass shapes. What inspires me about this video? I zeroed in on the designs on the rolling miil. I was drawn to the starfish and then to the color of the nectar. 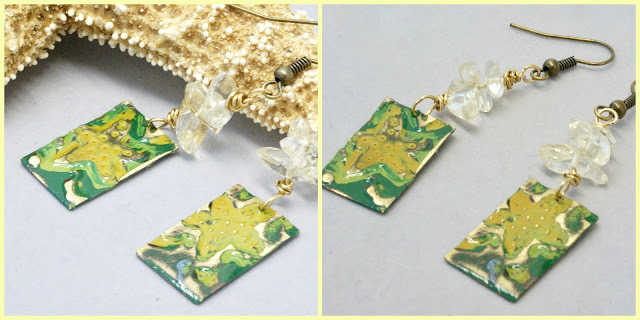 These starfish earrings are the result of this inspiration. I made them from natural brass sheets that have been embossed with a starfish pattern. The earrings are hand painted also with yellow and green patinas. I used citrine chips to mimic the candy. Yellow was a choice based on the color of the candy. The metal has a protective coating to keep the color vivid for years to come! I have hung them on brass ear wires. I used my Sizzix Big Shot and DecoEmboss Die - Ocean Reef by Vintaj. It is easy to embosses beautiful designs onto different shapes of Vintaj blanks. It is important to wash the blanks before you begin so that any grease is removed. I then paint Ranger Rick patinas on the metal. I highlight the raised areas of the blank by using the Vintaj Metal Reliefing block. The last step is the sealant. I always enjoy this challenge! 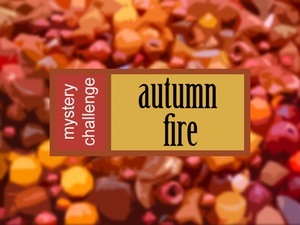 I had a lot of fun creating a necklace with the Mystery Challenge Kit --Autumn Fire from Allegory Gallery. There were only 20 kits made for this challenge and I was lucky I got one! I bought it on faith. I didn't 't know what was in it until it arrived at my door. 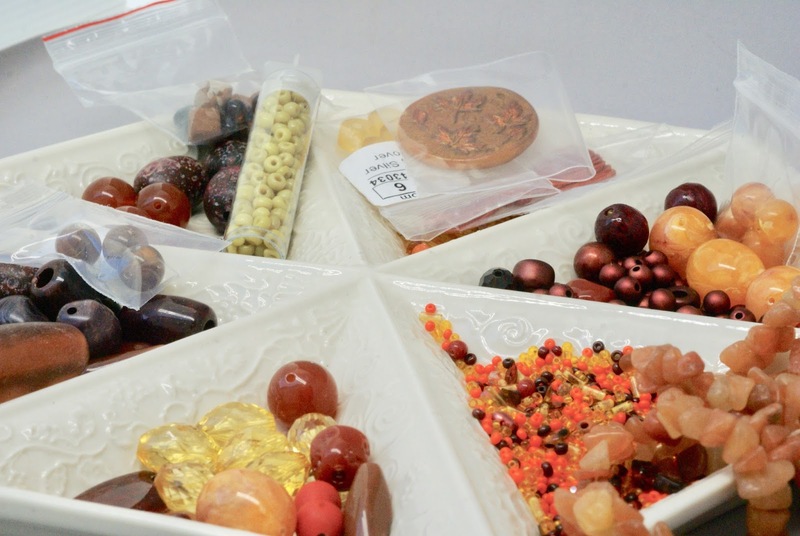 You can see that I got lots of gorgeous beads as well as a pendant made by Andrew Thornton. I only had time to make a necklace from the kit because I am heading to my daughter's in Atlanta for Thanksgiving so I packed most of the kit to take with me. 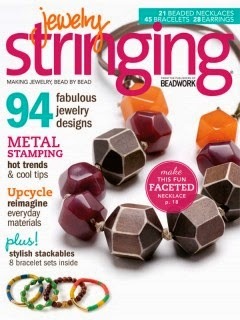 I did use the peach Irish waxed lined thread, and the yellowish green seed beads, and long brown tube bead from the kit. They were perfect for making a necklace with a ceramic pendant from Marsha Neal Studio. This green floral necklace has hints of peach throughout it. The ceramic art pendant makes this a true statement necklace. 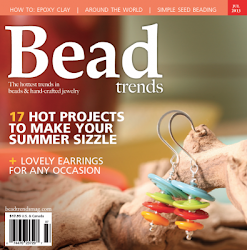 The floral necklace is paired with a large brown tube bead. I used large green beads. I combined yellowish green beads and tiny tiny brass beads to add pops of color throughout. A green hand dyed silk ribbon from Marsha Neal Studio is added along with a brass leaf clasp. 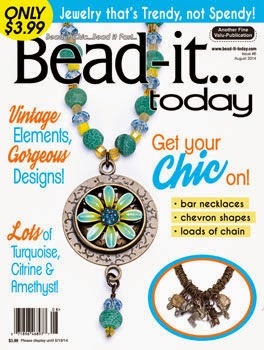 Don't you think this makes a great statement necklace for someone who appreciates art beads? I spent the weekend doing my two craft shows for the holiday season. It was a lot of work preparing for them since I hadn't done a show since May. They were back to back which was physically demanding. I have to admit I was shocked to see this photo from my Saturday show which was at the Biggs Museum of American Art in Dover, Delaware. I look calm and organized in a serene setting. Actually, the day was a bit of a train wreck for me! I have learned from past shows that before I put all of my jewelry and cards on the table, I need to make sure that the table is positioned correctly and lite as best as can be. The lighting was really poor when I first got to the museum because some of the lights were not working at all. I hunted down some museum workers and begged them to help with this. 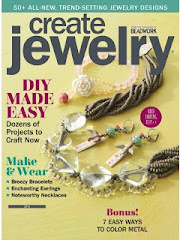 I have learned from past shows that lighting is critical to selling jewelry. Extra track lights were brought out and positioned so that they lite my table. Then I set up. My neighbor to to my right for this show was Lesley Campana of The Celtic Knot Studio. She had some lovely handwoven scarves, table runners, hand towels, and dish towels. I think some of her prettiest items were scarves woven from silk. Lesley was a huge help to me. I had a big problem with one of my tables right in the middle of the show. The table with all of my handmade cards came crashing down with a loud bang. Lesley helped me pick up and organize my cards after I got the table up off the ground. Lesson learned from that episode--make sure the table legs are locked and once again make sure the tables are positioned perfectly from the beginning! I am still working on that lesson. I was lucky it was the cards that fell and not my jewelry. My neighbor to the left was Denise from Magnolia Baskets. She makes Nantucket baskets. teaches classes in how to weave and sells weaving supplies. She helped me with a few Square Reader problems. I had lots of trouble with my Square as did others. Denise, Lesley, and I helped each other out and learned from our errors. Most of the problems were operator problems and not Square's problem. Lessons learned there, get to know the folks that are next to you at a show. You can all help each other out. I learned a lot about Square, however, I fear I will forget it all by next show in May! Ginny and her assistant (aka husband) had a wonderful selection of cigar boxes that she magically made into little works of art with their own personalities. I can appreciate her efforts since I am still working on finishing two cigar boxes of my own which are not nearly as detailed as hers. I met Carl Forsberg previously and he helped me get into a show. Once again, it is helpful to network at these events. His photography is beautiful. He sells his photos as prints and also cards. His subjects are birds mostly and they are just stunning. I learned a lesson from Carl here at the show. He had some of his cards for sale in the museum shop and I looked at how he displayed them in clear acrylic containers and it dawned on my that this would be a great way to display my handmade cards in shops. Another opportunity for learning! Next day I had a show at Baywood Golf and Country Club, Millsboro, Delaware. I always love seeing how they decorate here. It is just gorgeous every season. I enjoyed the day here even though my sales were terrible. Unfortunately, the organizer of the event who was new this year did not organize or advertise until the last minute. I knew that attendance would be terrible because of the lack of advertising. I also knew that would result in poor sales. The only reason I did the show was that I love seeing Baywood in the fall and I already had the hard work done of pricing etc. for the show and went with a minimal set up. The day wasn't wasted. I met up with 2 friends and we chatted for awhile. I was the star of the Square Reader here. I helped my neighbor get his Square working! I also made a contact there that should help me get into a show next year. Lessons learned here --Be careful and know who deal with! A lot of publicity is key to an event. Along those same lines, Heather Powers of Humblebeads gave me some advice on where to sell my jewelry when I was at one of her workshops. She strongly suggested that my art jewelry should be sold in an Arts venue like Delaware By Hand which is sponsored by the Biggs Museum or in trunk shows in high end stores. Great advice!